Many believe executive presence or charisma is one of those mysterious aspects of leadership you’re either born with or you’re not. Some think it’s the personality that comes with being an extrovert. I don’t agree with either of these viewpoints. Those words changed me. When my confidence wains, I channel that 9-year-old girl, who could crack the ball out of the park. She is one of my anchors, the personal values or beliefs I have in my core. During this painful election year, we’ve seen examples of what executive presence looks like from two very different perspectives. Despite your political leanings, both candidates offer great lessons to emerging leaders on how to develop and maintain executive presence. Donald Trump commands a room. When he steps up to a podium, he does so with a signature bravado. He boasts, he dares, he accuses, he avows. He makes outlandish statements and does so with complete self-confidence. Hillary Clinton stays on equal footing by maintaining calm and focus. She stands her ground from inside the fire, where most leaders — men or women — would crumble. 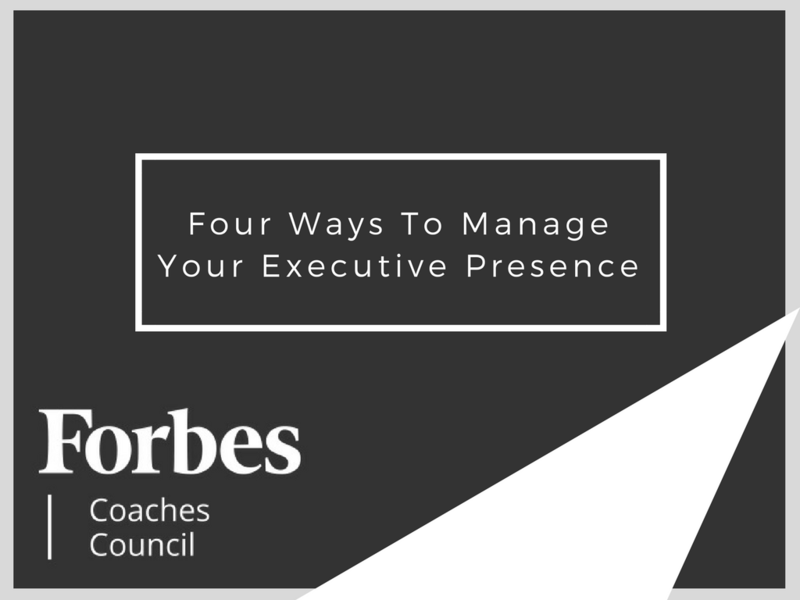 Those two examples of executive presence and equal footing demonstrate important aspects of what executive presence can look like. The CEOs I coach are powerful and influential, but even at the highest level, they lose confidence. I help them prepare for those times by identifying the moments in their life when they felt invincible or identifying those values that are non-negotiable. We work to increase self-awareness so they know what triggers their confidence to slip and when to pull in an anchor to lift it back up. In my work, I’ve found that having a strong point of view, knowing your triggers, honing your self-awareness and knowing your anchors are the four areas that lead to a strong, consistent executive presence. In order to be influential, you must have a clear point of view. You must master your subject and be able to define, defend and support it. When I prepare for an important conversation or speaking engagement, I practice in my car. While driving, I state my point of view or my position out loud over and over and explain in as many ways as possible why it’s valuable. The more you hear yourself say this with confidence, the more confident you become. That helps me think fast, be concise, and believe it myself. Once you convince yourself, it becomes easier to engage others. No matter how powerful you become, sometimes you’ll feel unsure of yourself or fearful that you may not have what it takes to lead in the moment. And unless you have a visceral sense of what triggers you to lose your self-confidence, it’s very difficult to regain it. For example, when you’re in a heated discussion, and someone keeps interrupting, it chips away at your confidence. You can continue talking over them and compete for airspace. You can react with a sharp scolding “Wait your turn please!” Or you can accept their inserted comments with grace. But do not miss a beat: Summon your anchor — in my case, that little girl holding the bat isn’t done speaking — and pick right up where you left off. To do that, you have to have your anchor ready — consciously at first, until it becomes natural and automatic. Understanding your triggers requires self-awareness. Once you are aware of what triggers you, you can deepen your understanding of how to stay on equal footing. After every important meeting, I encourage my clients to track in a journal: What was the one thing that went well, and what was the one thing you need to improve? These records reveal the patterns of reactions and feelings which help uncover the triggers. The more you understand these triggers, the quicker you can enlist one of your anchors and recover. So how do you identify your anchors and use them? In writing my book, From the CEO’s Perspective, every CEO told me their personal set of values or pillars which brace their power. As a leader, you must know what keeps you upright at your core. Whether you’re arguing in a boardroom, or getting interrogated by an investor, these are uncomfortable opportunities for you to learn your triggers and grow in your awareness. When you know what causes your confidence to slip, you can step firmly back into the space of your anchor and present a confident point of view that puts you back on equal footing. 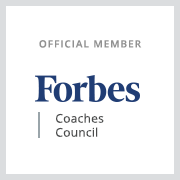 Article originally appeared on the Forbes Coaches Council blog. See it here.